Submitting articles to directories and ezines remains one of the best ways of attracting free, quality traffic to your sites. Simply leave a link to your Adsense site in the resource box at the end of the article and over time your site can receive hundreds or even thousands of free visitors. You can create a free press release about your website and submit it to http://www.prweb.com and other press release services. A well written press release can result in masses of free, targeted traffic. Similar to free articles, viral eBooks are a great way of generating targeted traffic on a shoe-string budget. The eBooks can be given away so that over time they reach their desired audience through various distribution channels (ebook directories, ezine owners, link-sharing etc). If you have email lists that would be interested in your site then write a newsletter edition that ends in the reader going to the Adsense site. This way, as additional posts are made on the site the newsletter readers can keep returning and income will continue to be earned from this source alone. Forums are hotbeds of interested prospects. Many forums allow you to leave a signature and thus link to your site. Depending on the niche and individual forum some may not allow you to do this so research before you start posting. It’s worth noting that some heavy-hitting forums may have hundreds or even thousands of readers looking at just one thread so this strategy when used correctly is a great way of inducing traffic & ultimate Adsense clicks. Existing traffic from one niche website can skillfully be diverted into other niche websites. For example, if you have a website that is about the stock market and investment, and you set-up another website that shows people how to buy and sell land for profits, the two are very complimentary. 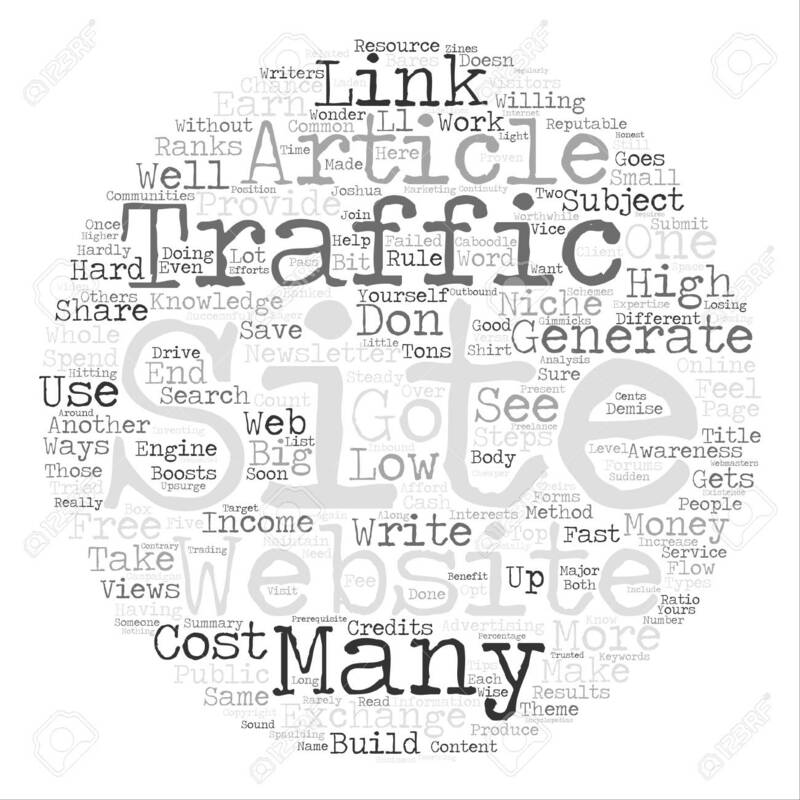 Traffic can be easily diverted onto the new site for immediate Adsense income. While it’s good to have sites in different niches there are also many benefits in creating additional sub-niche sites in the same general market. There are also many other ways of getting traffic to your Adsense website, such as Blog & Ping and search engine optimization. Entire books have been written about all of these subjects and how to benefit from them. With an internet business there are many different potential business models that can be put into place. Adsense can be used as a primary income generator or as part of a wider income model that incorporates other revenue streams (such as affiliate & in-house products). Contrary to popular belief it is not necessary to build hundreds of Adsense sites in order to create a vibrant source of income from Adsense. For instance, in his Adsense Video Tutorials, Michael Chaney shows how he earns over $19,000 per month in Adsense revenue from just ten sites. You will also want to ensure that the per-click bids from advertisers are healthy. Some markets such as real estate & finance can yield far higher per-click bids than other less potent niches. For example, the term “property investment” is searched approximately 300,000 per month and the maximum bid value is $3. Similarly, “land investment” has a maximum bid value of $3.85 and is searched over 33,000 times each month. If you target niches like the above that combine high volumes of interested prospects and high bid values, your Adsense income can be very powerful from just a handful of sites. This is another simple example of how choosing the right niche to enter can significantly boost your ultimate Adsense income. It’s absolutely imperative that, whatever niche you penetrate, your website has quality content. Even the most potent niches and the cleverest of site & ad layout will not help a site that has poor content. If the visitor begins to read and is simply appalled by the poor standard of information they wont hang around to look at your ads. On the topic of content there has been much debate in recent times as to the benefits and drawbacks of using private label rights content or other “duplicate” content from article directories. So should you be using private label rights to build your Adsense based websites? Private label rights are fantastic profit & productivity tools. Quality PLR content can give you a basic blueprint for an online business. The content is ready-made and (if you buy from the right places) professionally written. However, the debate centres around the fact that most PLR material is duplicated content which search engines are wary of. So does that mean you should not use PLR content? Only if you want to leave a lot of profits on the bedside table. The best thing to do is merge your PLR content with your own unique material so that you have a truly unique site that’s bulging with quality content. It does not take a lot of effort to tweak PLR material, or to add your own unique content to the basic PLR content. Add pictures and video. Make small changes that bring big results. What about those articles you see posted on various directories? Personally I would never use them for my own sites unless I absolutely had to. That’s because with these free articles you are obligated to leave the authors signature link to their own website product at the end of the article. If you use your own content, or quality private label rights, then you can insert your own affiliate/product link and this yields even more income for your site. 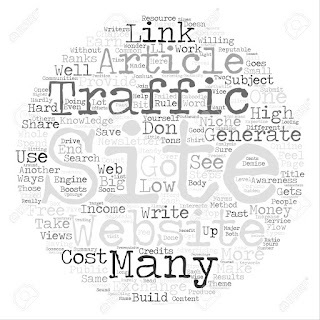 You will need to put in place strategies that will attract traffic to your Adsense sites. We’ve gone over several free ways in getting a steady stream of traffic above. Entering into a new niche market takes hard work. You need to create a good quality site that’s fundamentally profitable, drive traffic to the site, establish joint venture relationships, try and get listed in multiple search engines and build opt in lists. One common mistake many budding Adsense entrepreneurs make is setting up several Adsense sites in completely unrelated niches. It’s good to have a certain level of diversity – but when you enter a new niche, all that work of establishing the site needs to be redone. When you build additional, related sites in the same broad niche you have a huge advantage – you can recycle the traffic (site visitors & opt in subscribers) to the new site for instant income. It’s important to carefully place targeted keywords over your website & the title of each page on your site. Try not to have one generic title for all the pages on your website. This will ensure that appropriate adverts are served on each website page. Testing & tracking are fundamental in any business, online or offline. Adsense offers some tracking functions that you should make use of to see which URLs are bringing in the majority of your clicks. This will help you shape your future Adsense campaigns by highlighting the formats, niches etc that have yielded the best results. If you would like to start earning some Adsense income but you do not have the funds or technological know-how to set-up your own website then you can still start for free – by setting up a simple blog. You can create a free blog at http://www.blogger.com. Once you choose a topic and set-up your blog you can simply paste in your Adsense code in the Templates tab in your blog account. Within minutes your blog will be able to serve up targeted ads closely matched to your content. Blogs are also great if you’re new to getting online traffic – http://blogger.com have an in built RSS (Really Simple Syndication) feed which is helpful for traffic generation. To get a flow of traffic to your blog started submit the blog to the many blog directories available online. Many people inexperienced with setting up online sites or earning a living online are making residual incomes by creating simple blogs and putting Adsense on them.